Here at The Shore, we’re all about providing terrific value, so you can still afford to do the fun things you’re here to do. That’s why our apartments all have a fully equipped kitchen – you don’t have to eat out for every single meal (unless you really want to!) and making a meal yourself is generally much cheaper than buying it everyday. 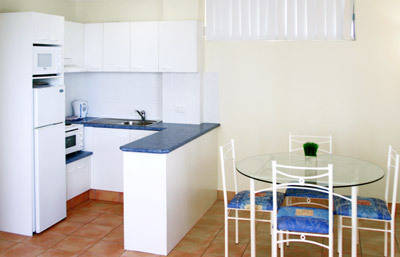 Our cheap Surfers Paradise accommodation also has separate dining and living areas, plus spectacular ocean views, to make eating in even more enjoyable and convenient!